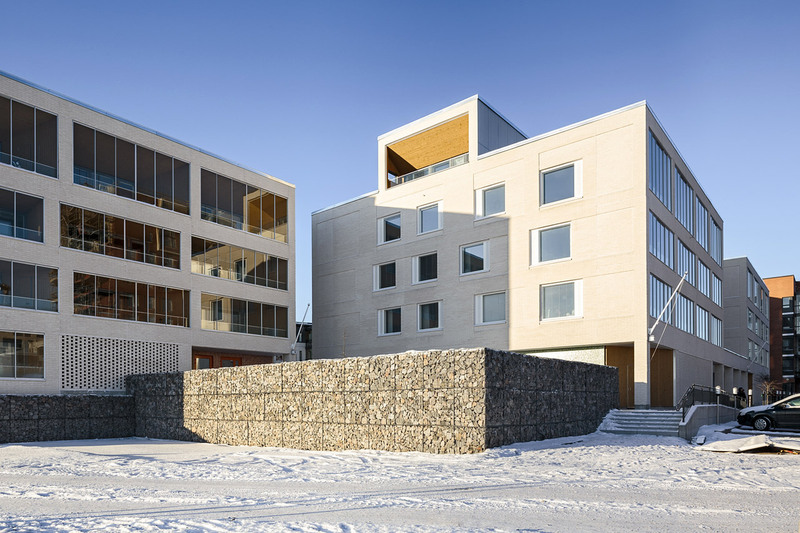 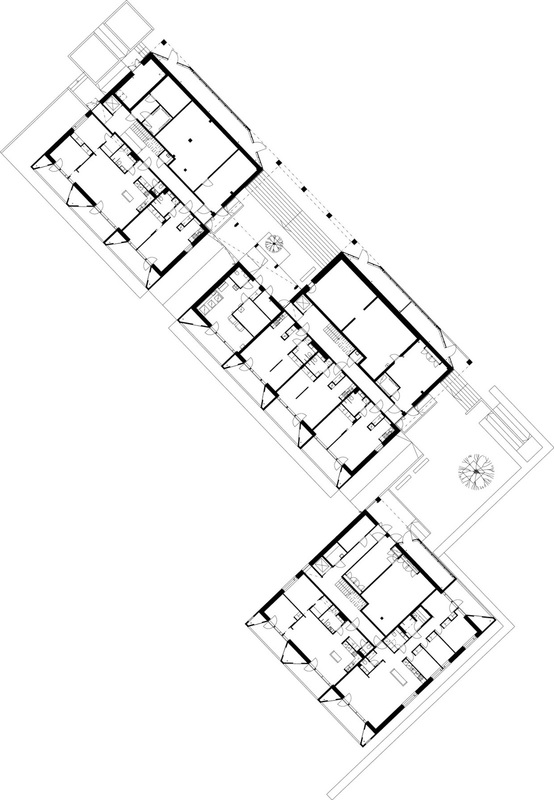 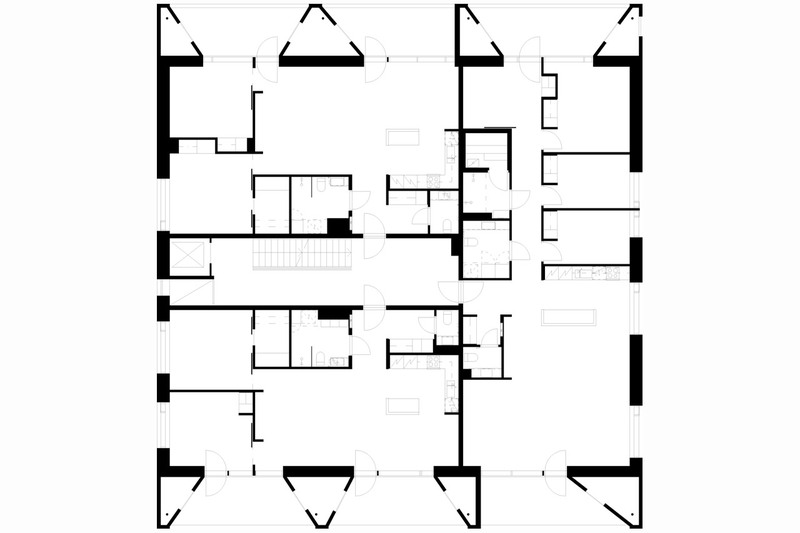 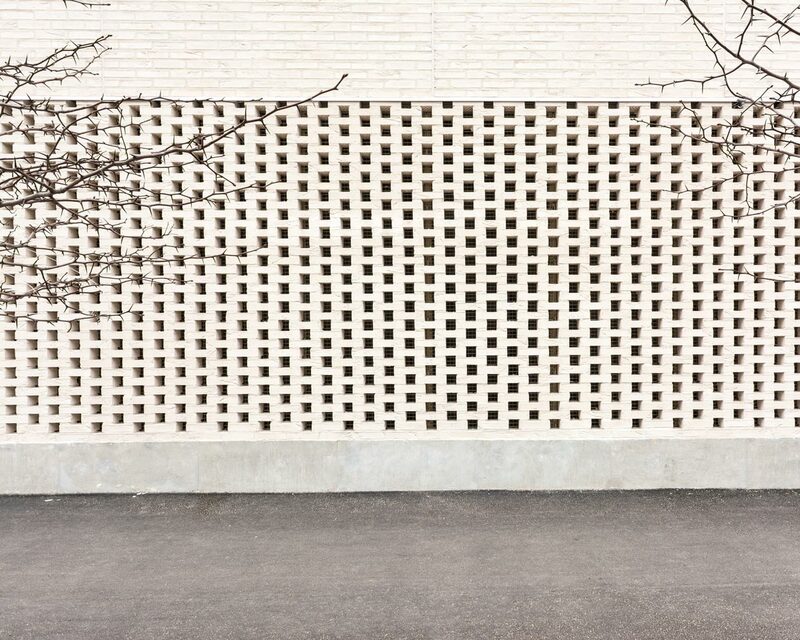 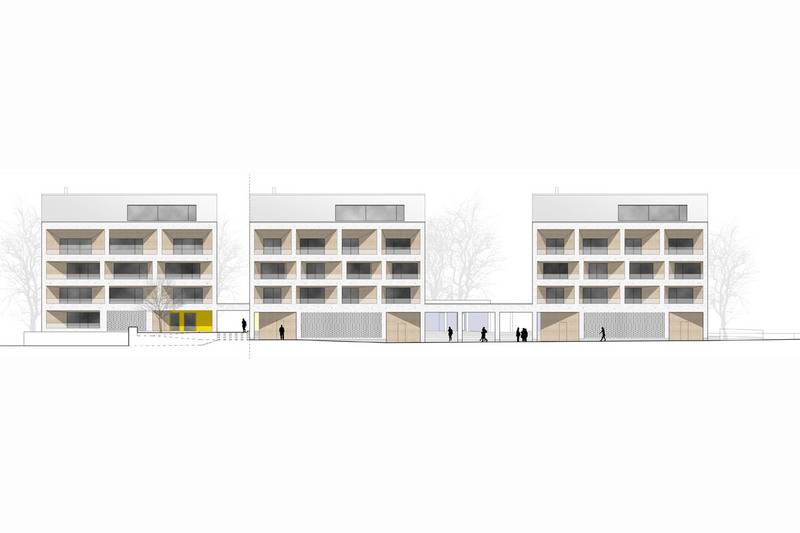 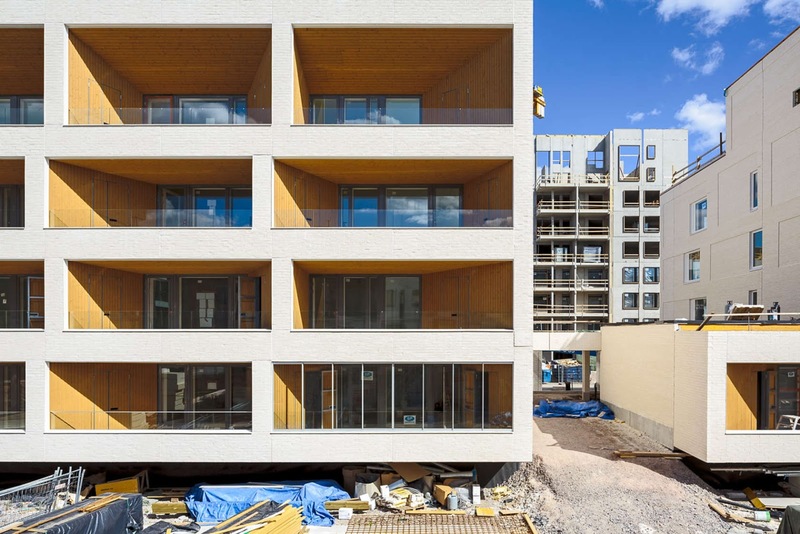 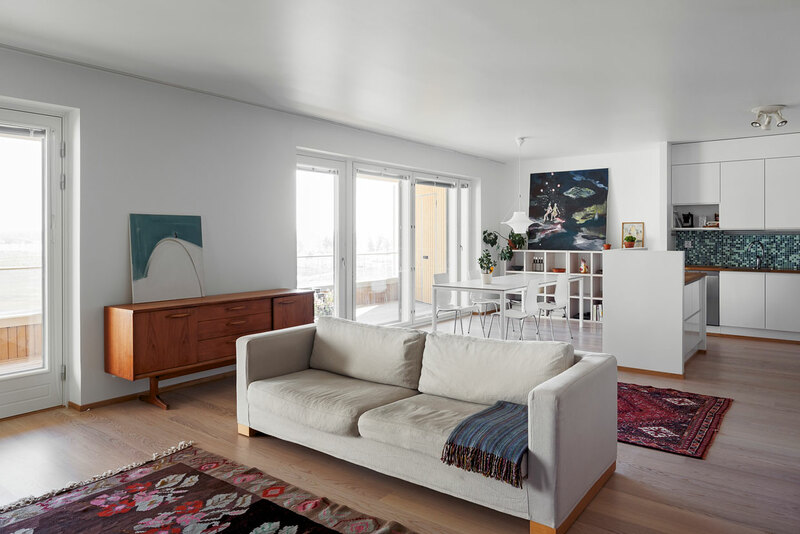 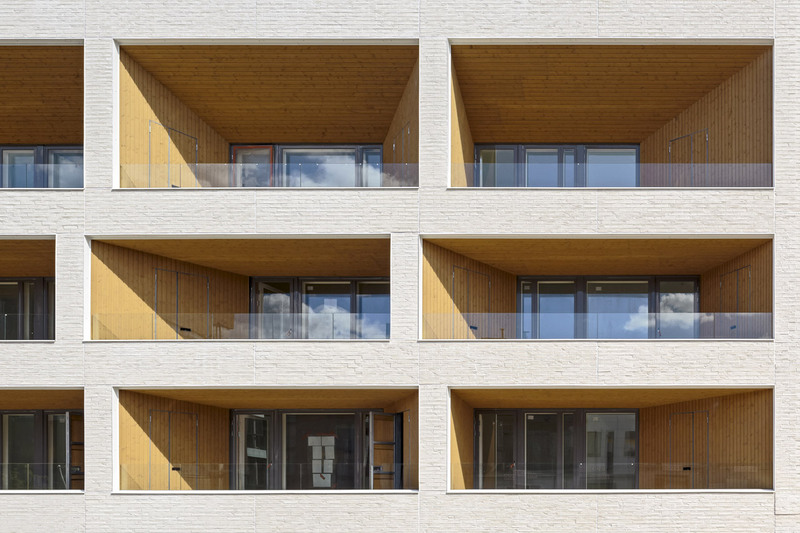 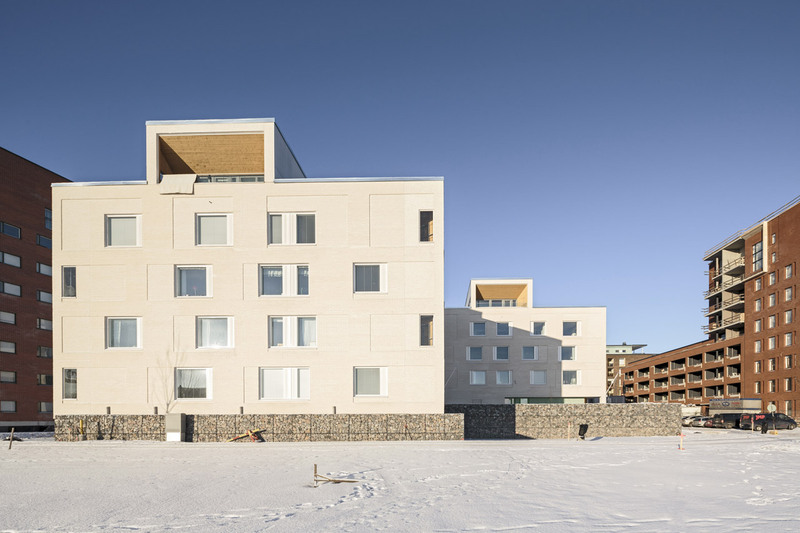 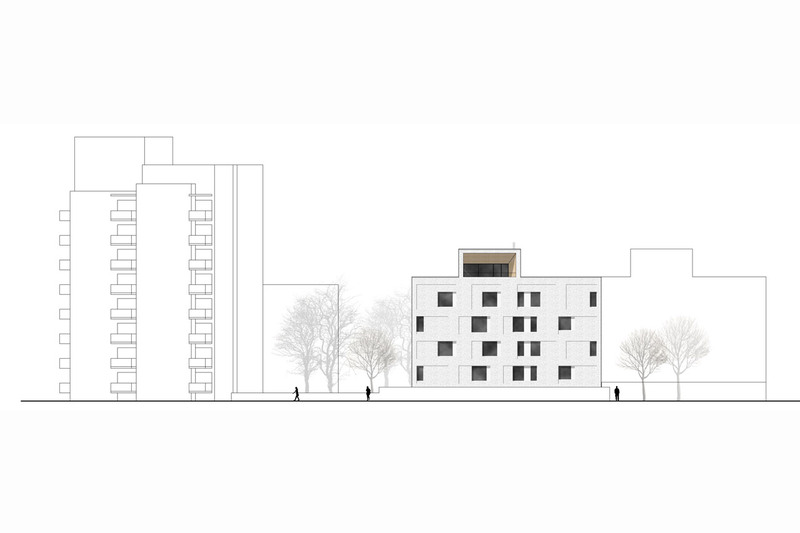 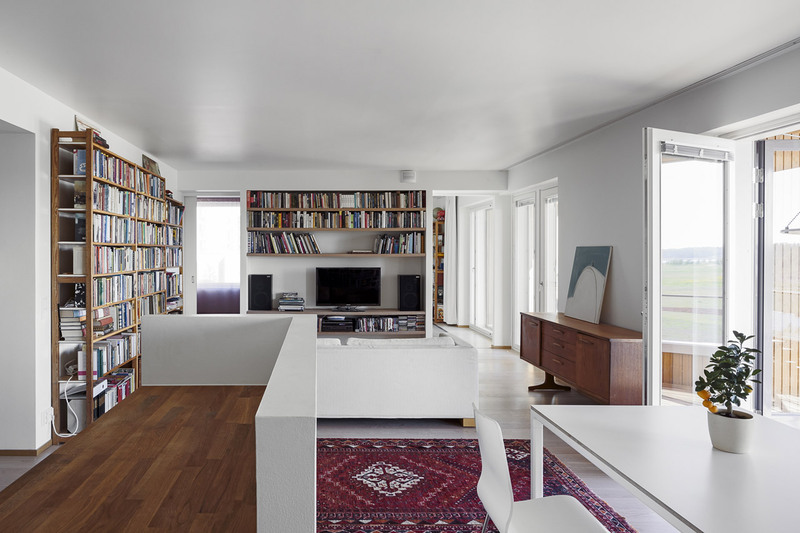 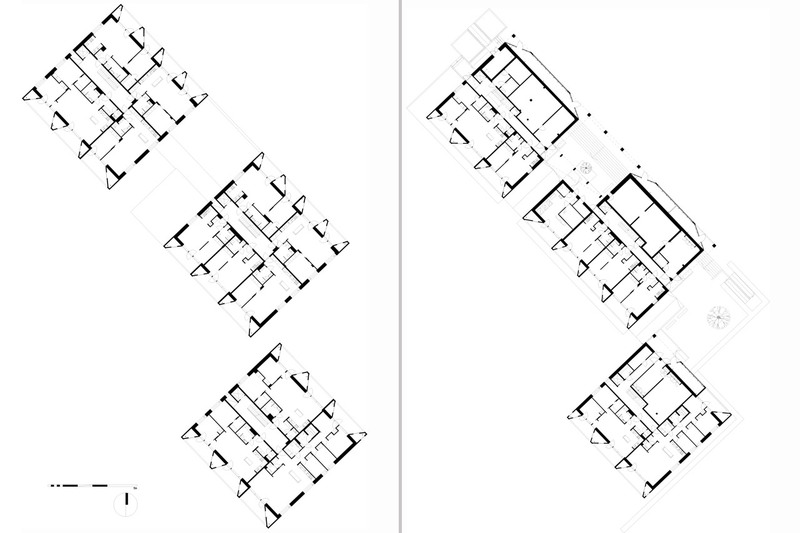 This project comprises three villa-like apartment buildings in Toukoranta, Helsinki. 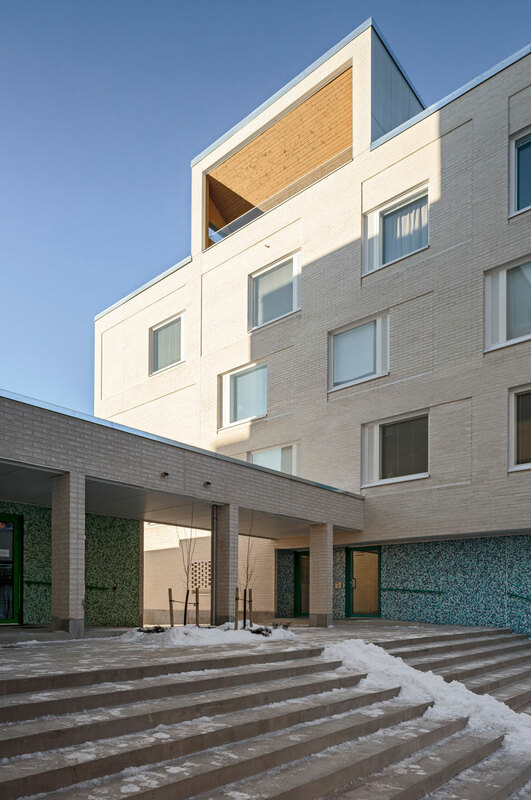 The project is part of the subsidized HITAS program organized by the city of Helsinki. 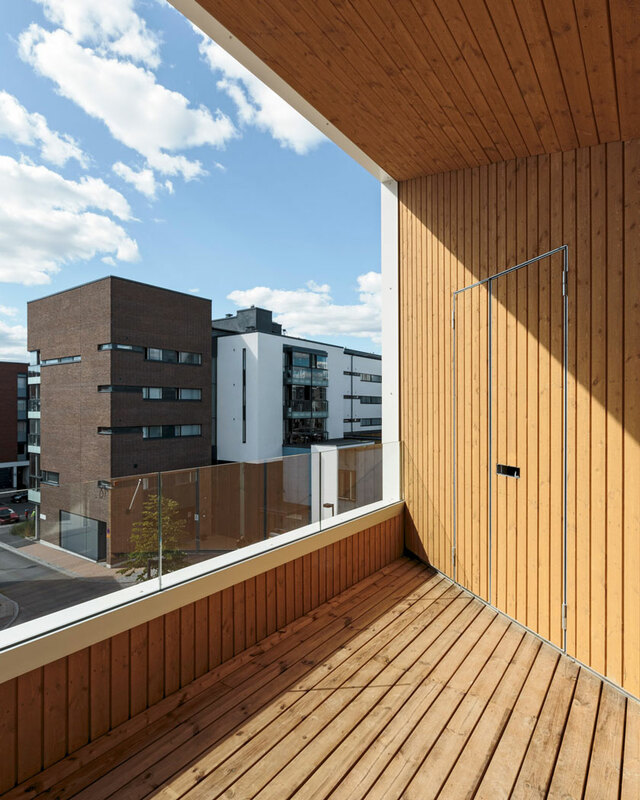 The wood-paneled balcony zones along the street and courtyard façades characterize the buildings. 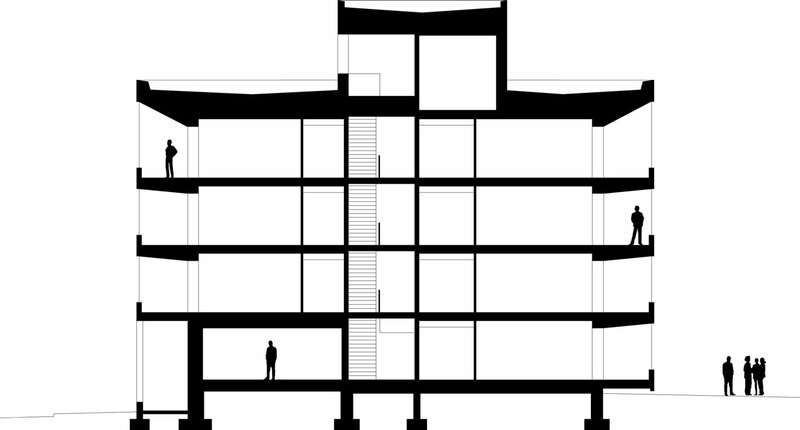 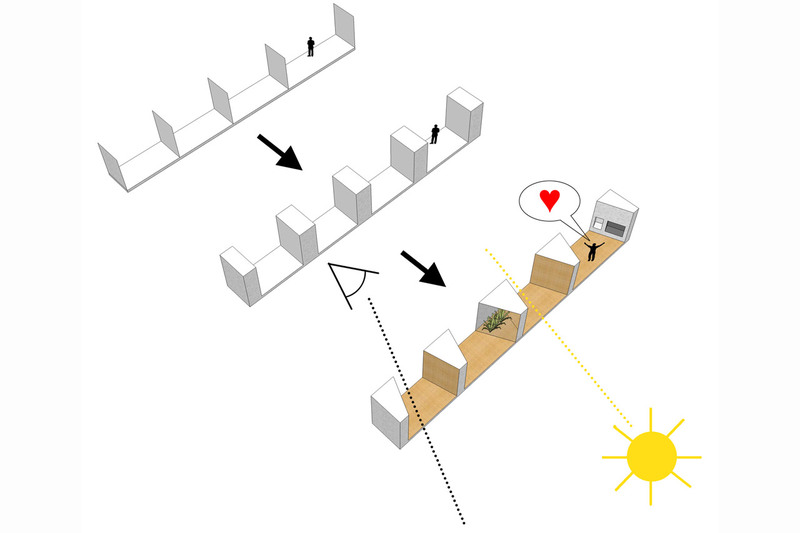 Triangular, extra storage space has been integrated into the balcony walls. 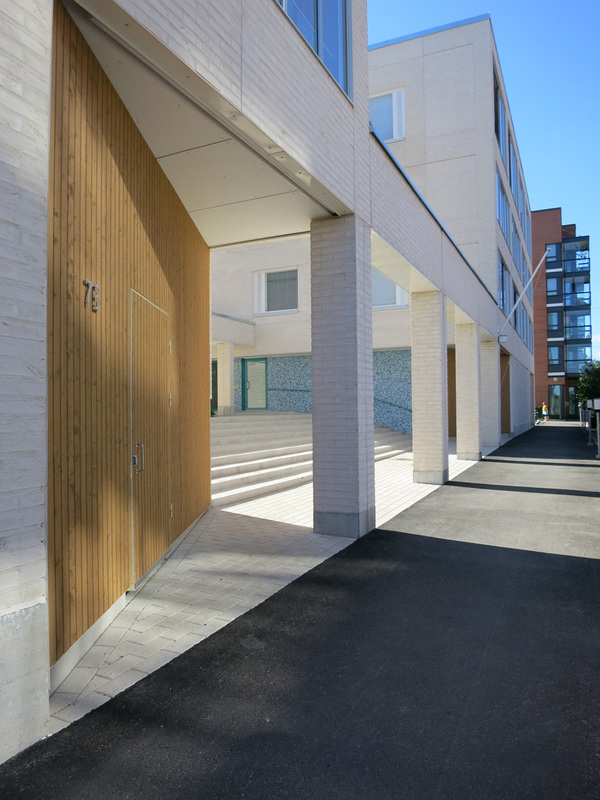 The resulting portal shape maximizes natural light in the apartments. 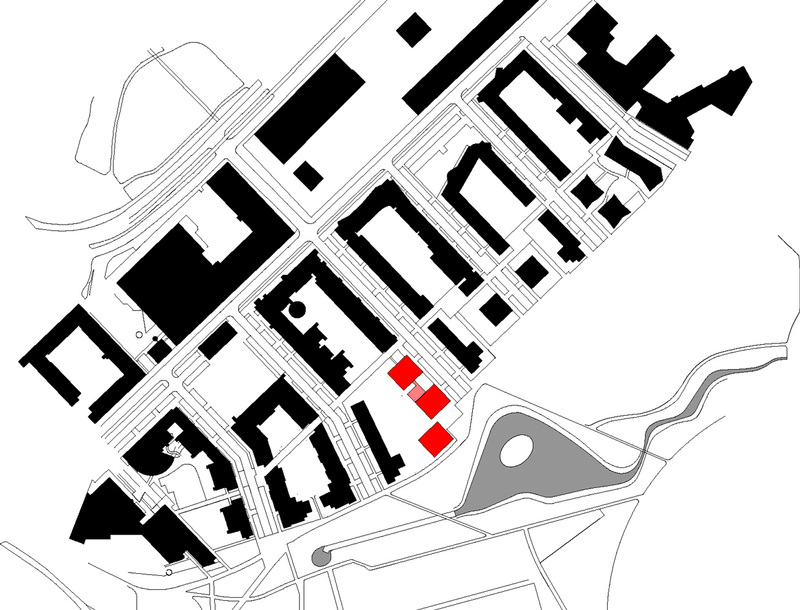 Entrances are from semipublic courtyards that are slightly elevated from the street level. 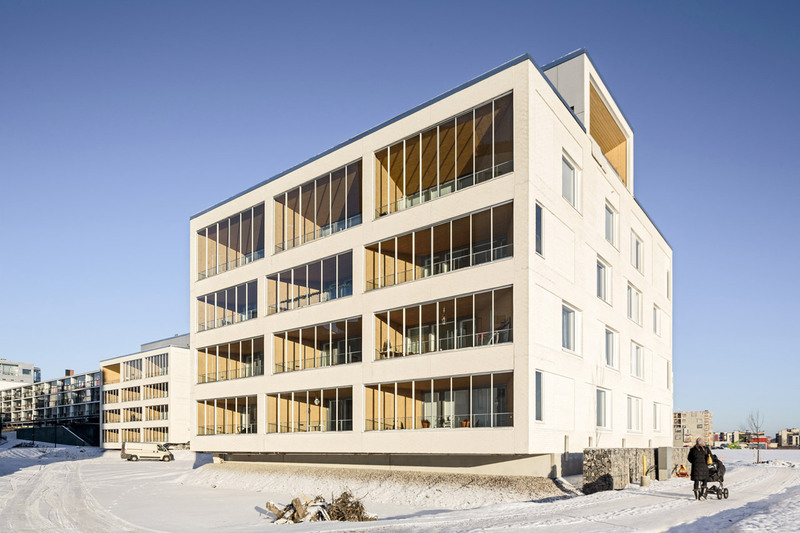 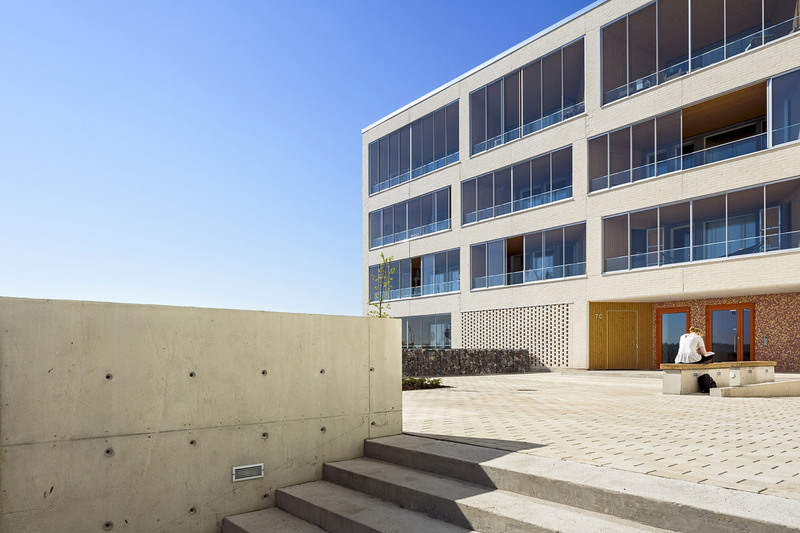 Communal saunas and terraces are on the top floor and offer unobstructed views of the sea.